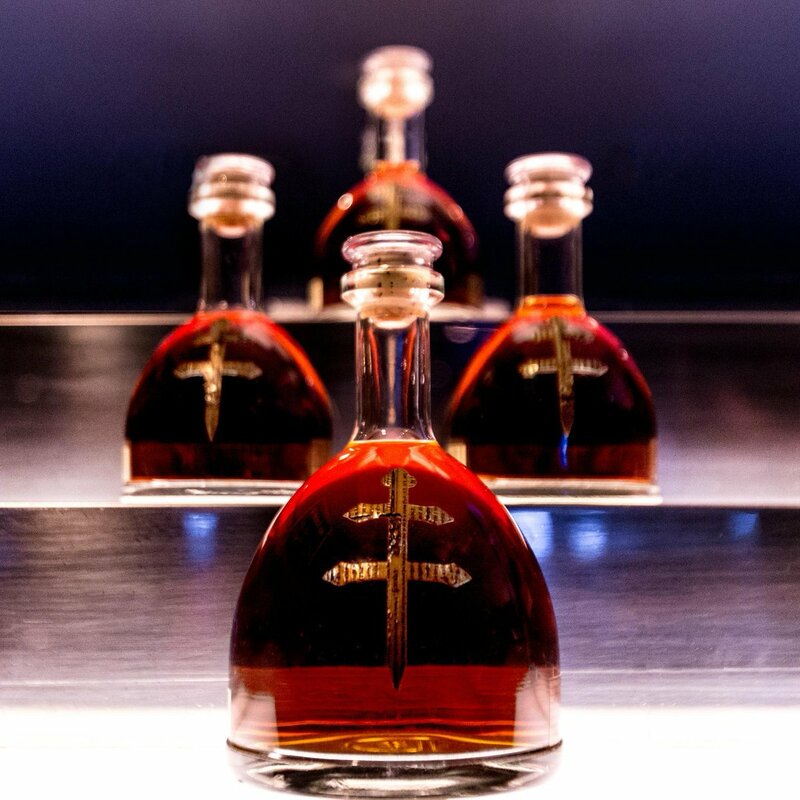 D’USSE (pronounced “dew-say”) is Cognac with a hip-hop provenance: D’USSE has been embraced by rapper/entrepreneur Jay Z. It is really about the spirits giant Bacardi getting into the Cognac game with a slightly different take on France’s famed brandy. D’USSE takes its name from a French commune. D’USSE is made at Château de Cognac, one of the oldest cognac houses in France (in a region that has been producing cognac for more than 200 years.) D’USSE is a V.S.O.P., which means it’s been aged at least four years. But it’s not intended to be too rich or sumptuous. D’USSE smoothness is the key. Giles Woodyer, (Bacardi brand director) points to the brandy’s aromas of wood and the flavor “accents of honey and dried fruits.” Think of it as a Cognac aimed at a younger market (brandy beginners), that may opt to drink it on the rocks or even as a mixer.